Bird watching is a time-honored tradition that many people enjoy today. Don’t worry, you don’t need any special equipment to go bird watching, and you certainly don’t need to travel to exotic locations. Simply sitting in your backyard and watching the birds local to your area is all it takes to engage in the hobby. If you’re on the fence about whether or not you should take up this fascinating hobby here are 8 benefits of bird watching that should help you make your decision. Bird watching isn’t a hobby for those who aren’t accustomed to waiting. You can’t expect birds to simply be out and about at all times of the day. 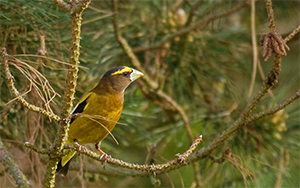 Bird watching requires study as you learn the locations of nesting areas. Then, of course, you have to travel to the area and take up position (sometimes for hours) as you wait to see if the bird will show itself. You’ll likely find that if you develop the patience required for bird watching, you’ll begin to develop patience for other things in your life as well. It’s no great secret the children of this generation are addicted to their tablets and game consoles and as a result rarely go outside to play and simply enjoy nature. Taking your children bird watching is a great way to get them outside, and the best part is that it doesn’t take much effort on your part – start in your backyard and watch the birds local to the area. Soon enough your kids will be begging to go outside more often! Bird watching is a quiet yet meditative experience. Watchers often spend long periods alone, in the quiet (to not scare off the birds). Sitting, watching and waiting allows for plenty of time to think about life. Bird watching also provides an opportunity for you to clear your mind and simply live in the moment. You’ll learn to appreciate the fleeting moments in life (you may only catch a brief glance at the bird you’ve so patiently been waiting for) and truly give thought to the many things going on in your life. From the surface, you would never think that bird watching had anything to do with cardiovascular health. However, bird watchers are used to hiking for miles on end to engage in their hobby. Many bird species often nest in places where humans can’t easily travel. That means if you wish to take a picture of them or simply view them in their natural habitat than you’ll have to put on your hiking boots and travel to where they are. Bird watchers often push themselves for the sake of the challenge and search for species that exist on high up mountains and cliffs. All of that hiking can greatly improve cardiovascular health, especially if you do it on a regular basis. We probably all have that one friend with aspirations of traveling the world. However, when asked why they haven’t traveled anywhere yet the answer tends to be “just because.” Thankfully, bird watchers always have a reason to travel. With millions of bird species to track across the globe, there’s no end to the adventures you can have. Bird watchers tend to be travel enthusiasts who enjoy mountain climbing, island hopping, and much more. If you’ve been looking for an excuse to travel than taking up bird watching may be the best course of action for you. There’s certainly nothing wrong with going on a bird watching expedition alone, but there’s something magical about bird watching in a group. Bird watchers have a strong sense of community, often deriving pleasure from swapping stories with one another and sharing vital information on where to spot certain species of bird. Engaging in a community of like-minded individuals is great for your social life and can lead to lifelong friends. Bird watchers have to be ready at a moment’s notice, or all of the hours they poured into the day’s activities may be wasted. Seizing the moment is a trait that all bird watchers learn. Four hours of patience can turn into twenty seconds of flurried activity as a bird returns to its nest – if you’re too slow you’ll miss out on the show. Always being in a constant state of readiness often quickens the reflexes which may come in handy in other situations outside of bird watching. 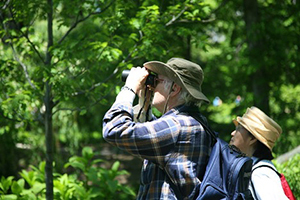 Bird watchers are used to sitting in one location for hours at a time to catch a glimpse of a particular bird. During that time bird watchers are able to soak up their surroundings – admiring the plant life, breathing in the crisp air, and watching other animals. Hopefully, you’ll begin to admire nature for its beauty which makes the entire effort worth your time when you finally catch of a glimpse of the bird you’ve been so patiently waiting for. If you ever find yourself in a situation where you don’t have the time to go bird watching you can still enjoy viewing the behavior patterns of birds by investing in a security camera. Security cameras can run all day and all night and can be the best option to spot bird behaviors when you’re too short on time to get outdoors and view them yourself. As you can see, bird watching can be a therapeutic, relaxing and rewarding experience that comes with a wide range of benefits. Whether you’re looking to connect your children closer to nature or simply wish to take up a new hobby, bird watching may be the right choice for you.